Brothers hold a strange love in their relation, a kind of shy, unexposed, hidden and passive one. And there is extreme care of like a mother, protectiveness like a father/brother, aspirations and surrender of like a son and a disciple, worship and commitment like to the God which is very apparent in the love of these two iconic brothers. It is the potential of brother love which is so unique, pure, rare than any other relation but forgotten in today’s Indian scene.. 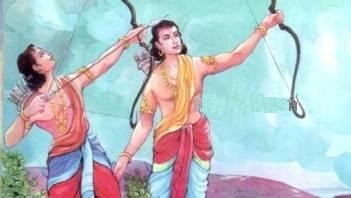 Salute to the ‘Lakshman’ for his utmost surrender to Rama..